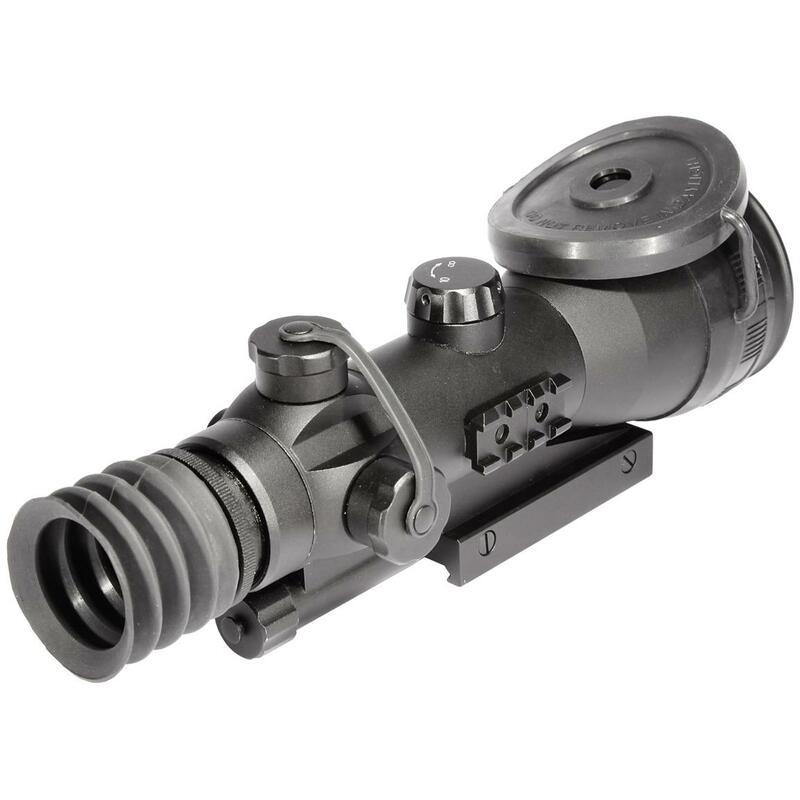 ATN® ARES 4-2 Night Vision Weapon Sight. 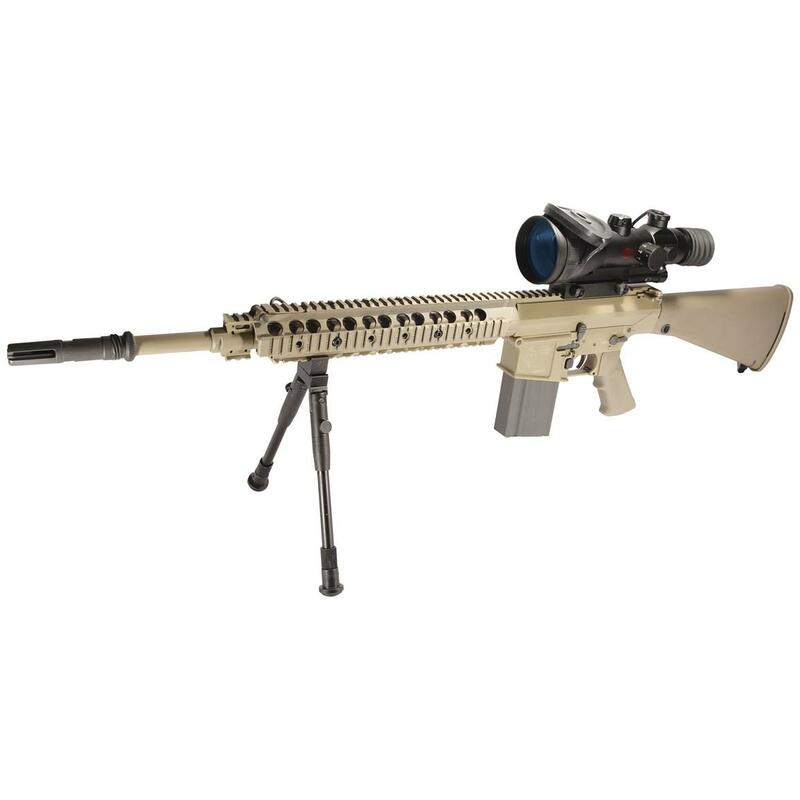 Gen 2 image technology and 4X zoom in a compact Rifle Scope. Introducing the latest and greatest in Gen 2 night vision! 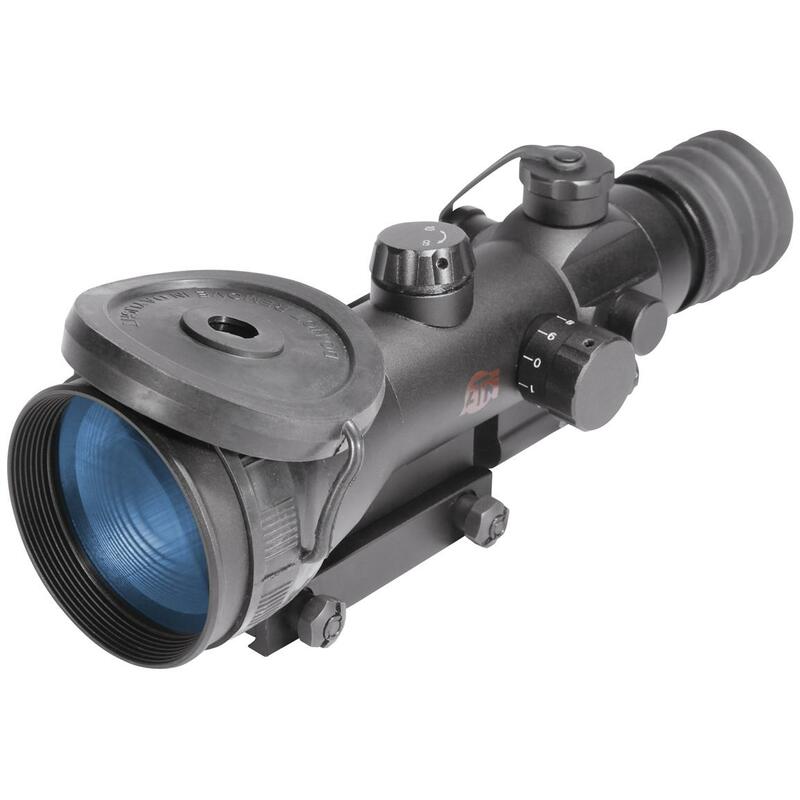 ATN®'s new ARES line of Scopes pairs fast, infrared-sensitive optics with high-performance image tubes for outstanding target acquisition and aiming capabilities - whether you're a professional operator or a dedicated varmint hunter. The red-on-green reticle system provides optimal contrast against dark and light targets alike, while 1/6 MOA windage and elevation adjustments let you really dial in with precision accuracy. A detachable IR illuminator provides invisible light when natural light is scarce. The main difference between a 1st and a 2nd Generation unit is the addition of a micro-channel plate, commonly referred to as an MCP. The MCP works as an electron amplifier, and is placed directly behind the photocathode. The MCP consists of millions of short parallel glass tubes. When the electrons pass through these short tubes, thousands more electrons are released. This extra process allows 2nd Generation units to amplify the light many more times then 1st Generation, giving you a brighter and sharper image. Proshield lens coating is a mixture of anti-scratch, anti-condensation, anti-static, and anti-glare materials. Mean Time to Failure: 5,000 hrs. Dimensions: 9.75 x 3.75 x 3.5" w.